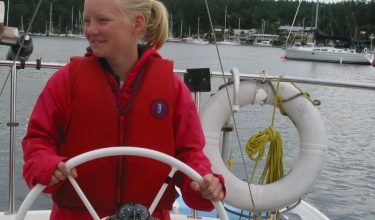 Expand your passion for sailing and have a life changing experience with people of like minds. Make soul time for yourself and get together with other women for time on the water to practice sailing techniques and share experiences. Take another view of sailing. Build confidence so that you are happy and able to skipper the boat on your own. 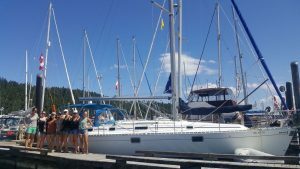 The Sea Wise Women’s Cruise is a five-day sail in the Gulf Islands. These five days are spent enjoying one of the most beautiful parts of the world while you practice points of sail, being at the helm while docking, anchoring and picking up the illusive mooring buoys. You will be an expert at MOB procedures and never have to worry again about the accidental gybe. Charting, plotting and taking bearings as you navigate your next course will become as easy as throwing a line. Whatever your goals are, from being a capable skipper to becoming an instructor, this is a great starting point to enhance your sailing techniques and meet new friends.